Let's face it, it's no fun when you realize you need to fork out thousands of dollars for a new roof. If you're like many homeowners, you avoid it as long as you can despite all the tell-tale signs: You have more granules in your gutters than on your roof, you have old organic shingles that are curling up like diplomas on the south side of your house, or worse yet- there are several areas of your ceiling that are turning brown from leaks. Despite your many attempts at doing hail dances around your house in the hopes that your insurance company may have to foot the bill, you are stuck with having to pay out of pocket since Mother Nature has not cooperated. Once that bitter pill is swallowed, its time to get serious and do some research on the best shingles and contractors out there. This product comparison is going to be quite different from previous ones. In Window Replacement Part 3: Marvin, Andersen, Pella, I gave many pros and cons of the different window lines since they are all made differently. In Siding Replacement Wars, LP vs. James Hardie, I had a clear favorite between the two different products. However, when it comes to these three roofing product lines I can say the following statement that some of the manufacturers won't like to hear: It matters very little which one of these three you choose; picking the contractor is WAY more important. If installed correctly, all of these products (including some brands I don't mention below) will have nearly identical performance. Asphalt roofing didn't have much variation in the past. 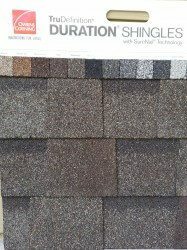 Shingles were made in the 3-tab style, which is a flat shingle with 3 rectangles per piece. Today, the vast majority of shingles are of the architectural variety. They have a cedar-shake look, with overlay pieces to give the shingle dimension and shadow lines. They are thicker and cover up roof line imperfections better. They also have longer warranties. 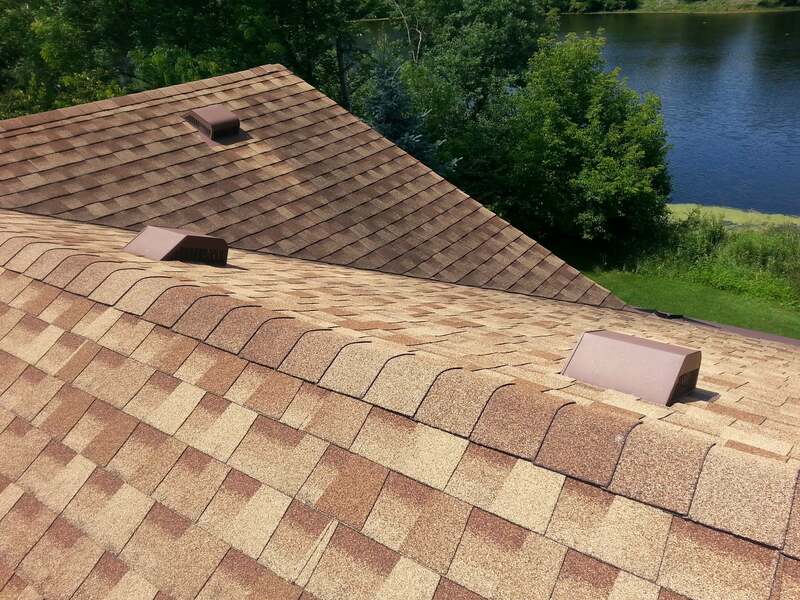 With the variation built into the product, architectural shingles are also easier to install. With the symmetrical rectangles of 3-tab shingles, much more attention needs to be paid in placement on the roof before nailing. 3-tab has basically gone extinct for new roofing installs, since there is little to no difference in pricing anymore. With over 90% of new roof installs going architectural, 3-tab has become a special order product and many contractors will do architectural for the same price. Under those conditions, there is no reason to do 3-tab unless you are doing a partial roof or trying to match product on nearby structures. Unfortunately, the warranties of architectural shingles have recently changed to make things more confusing to the customer. Each one of these brands used to have 30, 40, and 50 year shingles. 30 was the majority of what was used, but the customer could pay more for even thicker 40 or 50 year varieties with more material weight and more distinctive shadow lines. Now, asphalt shingles will never last 50 years but at least you could see the "good, better, best" progression with the old system. One of the companies got the bright idea to call their 30 yr a "lifetime shingle" to differentiate from the other manufacturers. That differentiation didn't last because the others quickly followed suit. So what changes were made to the old 30 yr to now be called "lifetime?" Absolutely nothing. The shingles may be shot in 20 years, but by that time the pro-rated value is pretty small. Shingle manufacturers also rely on the facts that homeowners stay in a house for 7 years on average, and "lifetime" is how long the homeowner lives there. Severe weather events could cause the roof to get replaced over such a time period. Finally, if the homeowners actually get to 20-30 years, there's a good chance that they won't still have the original paperwork. All these factors keep the lifetime warranty risk pretty low for the manufacturers. Today, customers need to sift through all the product offerings to find the difference in thickness and weight. 30, 40, and 50 year was previously the guide to tell the difference. With every architectural shingle now having a lifetime warranty, homeowners need to do a little more reading (or get some help from a rep) to find which ones are the premium thickness products. Speaking of warranties, GAF has most effectively worked their special warranties into the sales pitch. "Certified," "Master Elite," and "Golden Pledge" are a few of their extended warranty terms depending on what level the contractor is at in their system. 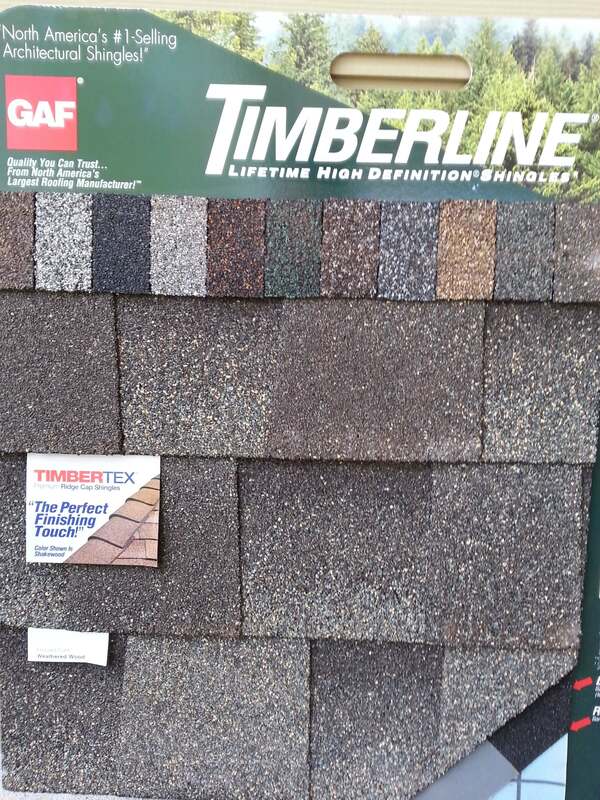 GAF is the most popular brand in town due to their well-known Timberline shingles. 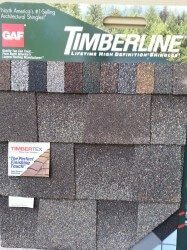 Timberline became the generic term for architectural shingles years back, and people ask for them by name quite often. "Do you have Timberlines?" sometimes means the same as "Do you have architectural shingles?" They have other lines as well, all the way up to the super-thick "Grand Sequoia." 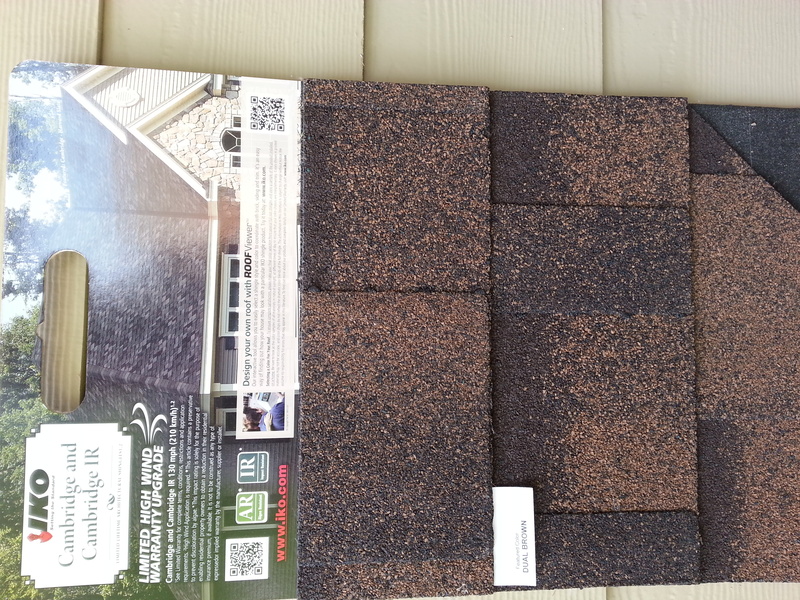 GAF shingles have a great name, a great look, many color selections, and many extended warranty options. GAF has very effectively embedded themselves with local contractors through their certification for different warranty options. One of the most well-known brand names around, Owens Corning continues to assert its presence in the fields of shingles, pink insulation, and large pink cats. Talk about an awesome branding strategy; I have the "Pink Panther" theme going through my head every time I talk about them. While I'm not a fan of their entry level "Oakridge" architectural shingle (the overlays seem too thin, they don't look much thicker than a 3-tab shingle to me), I AM a big fan of their "Duration" series. Not only does this shingle look like an architectural is supposed to look, but it has a fabric stretched over the nailing strip which they call "Sure-Nail Technology." The strip helps prevent nail blow-through from installers and shows them the exact place to nail the shingle down, which helps to prevent improper nail placement. O.C. has a variety of colors and thicknesses as well. If you are a do-it-yourselfer (or if you're using an installer that you don't have 100% confidence in), Duration is the perfect shingle to use, as it is the only shingle that has that Sure-Nail strip for a guide. 4 nails per shingle will give you a 110mph wind warranty; 6 nails will get you up to 130mph. Other brands have similar warranties, but the strip helps to assure the best placement for effectiveness of those levels. IKO has a slightly different look than the others, as the overlays have a straight cut instead of a tapered cut. While they don't nearly have the brand recognition of the first two, they are a huge company worldwide. They boast more weight in their base-level lifetime product than the others and they have premium thickness products like "Armourshake." 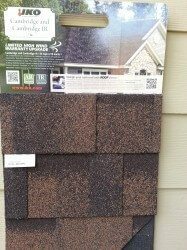 Customers of mine have been going to their "Cambridge IR" (impact resistance) shingle quite often, since it is the least expensive shingle I can find that carries a Class 4 hail rating. Most insurance companies will give you a break on your monthly premiums if you can show them Class 4 impact resistance paperwork. OK, all pretty darn good products here. However, if they are installed incorrectly, they have an increased potential for failure, which won't be covered under manufacturer warranty. Contractors can use nails that are too short or use nail guns that aren't set at the right pressure, resulting in nails not in far enough that eventually work their head through the overlaying shingle, or nails blowing through the shingle, leading to shingles coming loose. Valleys and flashing can be installed improperly, resulting in leaks. Kick-out flashing can be missed resulting in problems for other areas of your house. See Reuben's post on roofing installation issues. Ventilation needs to be adequate as well to keep too much heat from building below the roof line and curling the shingles. Can you imagine a ridge vent getting installed and the installers forgetting to cut a channel in the roof decking so the vent could work? It's happened. This is why it's so important to have a contractor with a good labor (workmanship) warranty, good reputation, and local longevity so you know you're covered if the failure is a result of faulty installation. Many contractors only have 1 year labor warranty and that's it. Now if the roof fails after one year and its because of improper installation, you're up asphalt creek without a paddle on getting any warranty help. Don't even get me started on out-of-state storm chasing contractors. Many contractors have Lifetime Workmanship Warranties. Now, just like a lifetime shingle warranty, they know that lifetime will be the amount of time the homeowner lives there (average of 7 years), but at least you know you're covered while you're there. Also, if a contractor is sticking their neck out for any water damage that could occur from a leaky roof, you know darn well they will do everything they can to prevent the problems from starting. Water damage can get up to tens of thousands really quick from a bad roof leak. 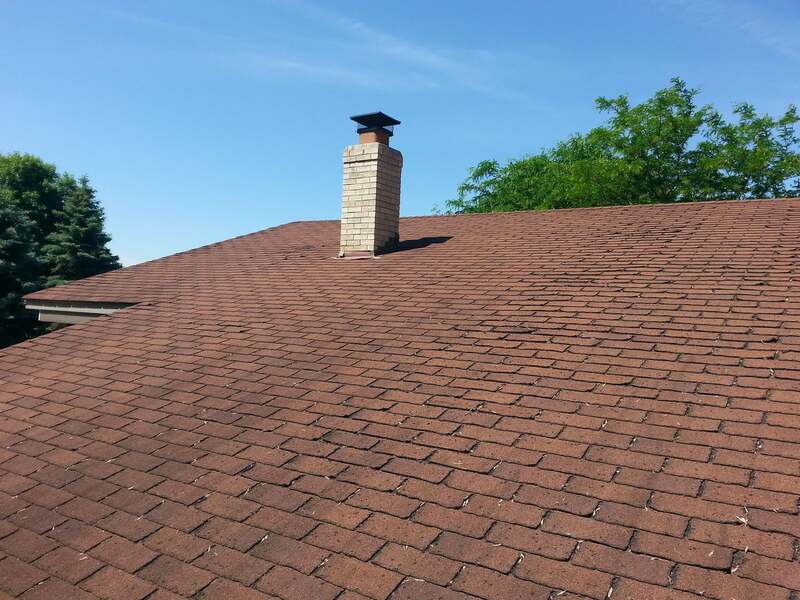 These three brands are my favorite asphalt shingles to work with, and I haven't had problems with any of the three when they are installed correctly. Pick a solid contractor to do the job, and you'll be happy with any of them. Pick the wrong contractor, and they can all fail. We'll cover metal roofing options in a future post. Ryan Carey has 15 years of experience in exterior remodeling for Twin Cities Homeowners and Property Management Companies. He is the owner of “My 3 Quotes,” a company that provides the free service of collecting 3 competitive home improvement bids for customers. For more information, visit www.getmy3quotes.com for free home improvement estimates on window replacement, siding, roofing, and more.